So, we spent all last week in Michigan visiting with Jamie’s family and attending her brother, Josh’s wedding in beautiful Bay Harbor. After the wedding we stopped by their new house and Josh pointed out this awesome coat rack that he built. When I saw it, I couldn’t resist, I had to share it with you all. For the feature area he used a really cool tree branch tile that he had from lying around from the family’s interior store in Ann Arbor, MI. This look could be just as easily mimicked with cross cuts from a tree branch, wine corks, cool tile, etc. 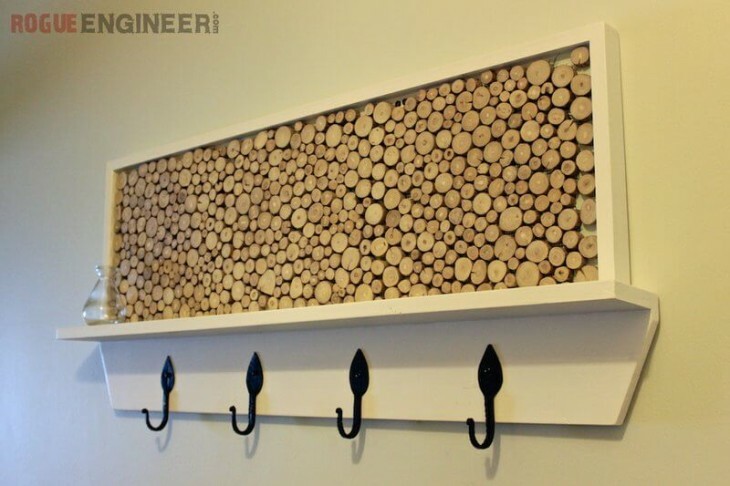 Anyway, what would be the point of sharing without a DIY coat rack plan to go with it. Enjoy!